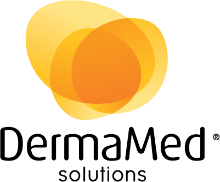 Philadelphia, Pennsylvania – April 7, 2016 – DermaMed Solutions, one of the leading Microdermabrasion equipment and professional skincare companies in the United States (based in the Philadelphia suburbs) will be exhibiting and demonstrating their latest technology and products in Philadelphia this coming Sunday, April 10th and Monday, April 11th at The International Congress of Esthetics and Spa, being conducted at the Pennsylvania Convention Center in Center City Philadelphia. An Exclusive Distributor of the geneO+™ 3-in-1 Super Facial treatment in the United States, DermaMed Solutions will offer demonstrations on-site in Booth #407 during the two-day conference. Key members of the DermaMed Solutions executive and support team, led by Ginger Hodulik, the company’s co-owner and Vice President for Research and Development, will be on site both days leading demonstrations of not only the geneO+ 3-in-1 Super Facial, but also the company’s expanding dmSkincare™ line of skincare products and nutritional supplements. There will also be demonstrations of the company’s proprietary MegaPeel®, known as the industry gold standard in microdermabrasion. The geneO+ 3-in-1 Super Facial is a one-stop maintenance facial that softens the appearance of fine lines and wrinkles, minimizes pore size, and revitalizes dull complexions providing a balanced healthy look. It is a breakthrough skincare technology that performs three actions simultaneously: gentle skin exfoliation, infusion of essential revitalizing nutrients and natural skin oxygenation. Similar to the natural hot springs effect, the geneO+ is the world’s first technology that naturally oxygenates the skin from within thus significantly accelerating the absorption and optimal utilization of nutrients both during and after treatment. DermaMed Solutions, based in suburban Philadelphia, is an Exclusive Distributor of the geneO+ treatment products in the United States. The geneO+ redefines facial treatments, with the integration of the most effective skin-enhancing technologies for the ultimate Super Facial, OxyGeneO and ultrasound, for an all-in-one skin renewal treatment. The geneO+ technology is a cutting-edge anti-aging solution that redefines cosmetic treatments. Gentle yet effective, OxyGeneO Super Facials simultaneously provide three essential skin-care treatments: exfoliation, natural skin oxygenation, and infusion of revitalizing nutrients through Ultrasound. DermaMed Solutions takes a “whole-istic” approach to skin care. The company’s medical and spa partners benefit from DermaMed Solutions’ leading-edge aesthetic technologies, results-oriented skincare and wellness solutions, as well as their educational and training endeavors. Since 1998, DermaMed Solutions has provided thousands of spa and medical locations with quality aesthetic equipment manufactured in the USA, such as the MegaPeel®, known as the industry gold standard in microdermabrasion. The company’s dmSkincare line of skin care products and protocols, along with nutritional supplements and home care regimens, provides users with a multi-pronged approach to offer maximum results. The company is an Exclusive Distributor of geneO™+ technology and the OxyGeneO™ 3-in-1 Super Facial treatment products in the United States. The geneO+ redefines facial treatments, with the integration of the most effective skin-enhancing technologies for the ultimate super facial, OxyGeneO and Ultrasound, for an all-in-one skin renewal treatment. The company’s products are available primarily at salons, spas and other skincare professionals. Additional information is available at http://www.DermaMedSolutions.com.